Winners of Our 17th Annual Halloween Costume Contest! Thanks everyone for sending us your submissions for our 17th annual Halloween costume contest! 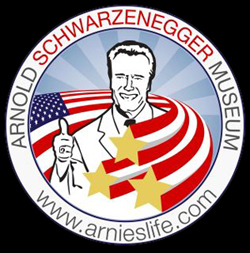 Many fantastic fans have entered but one lucky Arnold fan dominated the competition as the grand prize winner! Congratulations to Beth Bowman as TurboMan’s arch nemesis, Dementor from Jingle All the Way! Considering Conan the Barbarian is the greatest fantasy film ever made, it’s pleasing to Crom’s ears that you can buy some swords and daggers that are officially licensed from this excellent Schwarzenegger masterpiece! Thanks to Museum Replicas Limited, you can get some screen-accurate movie weapons which are very affordable and made to perfection! New Licensed Terminator Products by Nous sommes des héros + Review! You don’t have to wait until 2019’s Terminator 6 to see the return of the endoskeleton because the shiny, silver T-800 is back NOW at Nous sommes des héros! The famous French jewelry maker, Nous sommes des héros, created two very cool collectable pieces for Terminator and Schwarzenegger fans. They have two products for sale: an endoskeleton ring and an endoskeleton figurine! Exclusive: The Terminator Endo Speaker by AC Worldwide Will Be Back! We have some very good news! Direct from Karl Grimsey of AC Worldwide, we have confirmation that the earlier planned Terminator Endoskeleton speaker, which didn’t reach the Kickstarter goal, will be back with some new modifications! In Stores Now: Terminator 2 - 1/4 Scale ARNOLD Figure! From Terminator 2: Judgment Day, Arnold Schwarzenegger is back as the deadly T-800 in a massive 1/4 scale action figure by NECA! Move over TurboMan because there might be a new favorite figure on the toy shelves this holiday season! This Arnold Ultimate figure is 18 inches tall and 6.3 pound (perfect for displaying or lifting)! The logo on the cool box celebrates this year’s 3D release. New Predator Minimates 2-Packs & New Dutch Vinimates! For all of you Predator fans, check out the cool new merchandise from Diamond Select Toys (DST)! In the past, they've given us Terminator 2 and Expendables Minimates and now they're BACK with the latest in their Predator line of figures! Exclusive Contest: We have 5 "Killing Gunther" Posters to Give Out! With less than two months to go until the film's release, the trailer fWhile the limited theatrical release is happening on October 20th, you can watch the all new Arnold movie "Killing Gunter" on Ultra VOD right NOW! If you have cable in your home, chances are you’ll be able to order this action comedy film, starring Taran Killam and Arnold Schwarzenegger. or Arnold Schwarzenegger’s “Killing Gunther” has finally arrived! Definitely worth the wait, this looks like it could very well be Arnold’s greatest comedy of all time! T6 News: Present & Future Characters Together & Underwater Terminators!? Catch James Cameron and Tim Miller Talking Terminator Next Tuesday! Contest Prize + Save 15% Off New T2 Cards & 3-Ring Binder by Unstoppable Cards! Pre-order the all new T2 card sets by Unstoppable Cards by September 18th to save yourself some big savings! 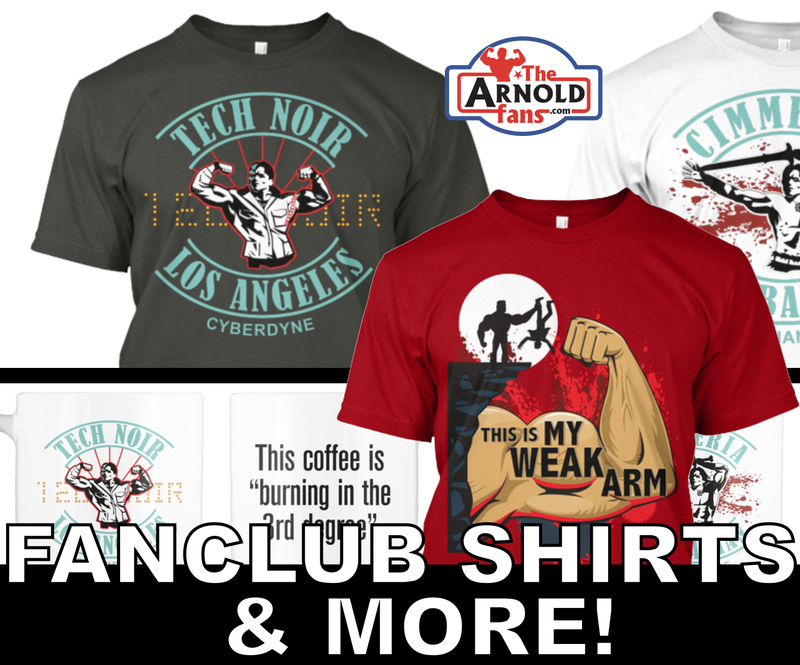 In addition to the pre-sale, cut your costs even further with our Code “ARNOLDFANS” to save you an additional 15% off! 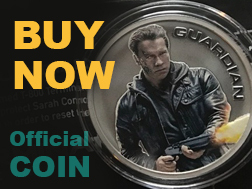 More good news, we’re giving away a card set to a lucky Terminator / Arnold fan!